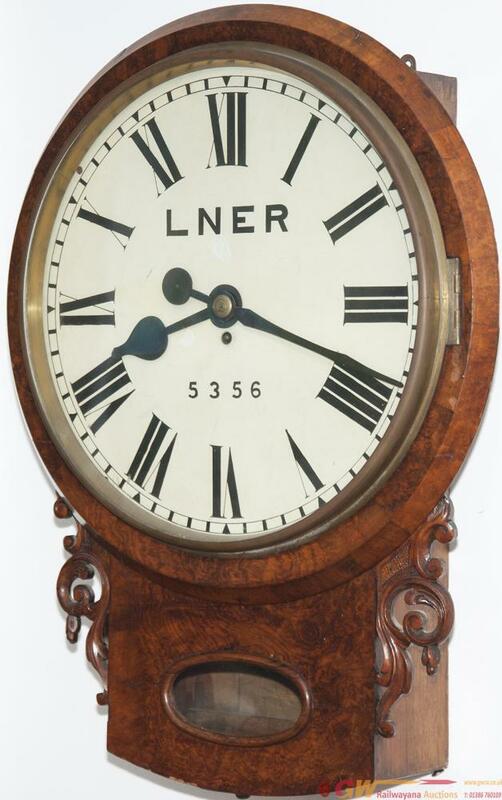 North Eastern Railway 18-inch walnut cased chain driven fusee clock with a spun brass bezel circa 1870. The walnut veneered case has ears and a lenticle window and is good condition, the dial is painted LNER 5356 and the square plated chain driven fusee movement is in working condition. The LNER clock records show the clock as having been located at Newcastle Central station. Complete with pendulum and key.